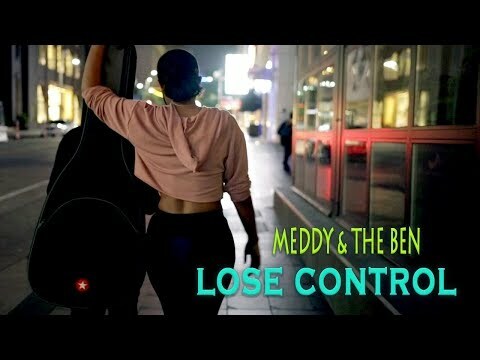 U.S-based Rwandan RnB maestro Meddy comes through with a new potential hit that is set to cause commotion on the dance floor, and is aptly titled “Lose Control”. He scores the feature of fellow RnB singer, The Ben. Has one of the best RnB artistes in Rwanda and beyond with his seamless vocals, enviable song writing skills and fresh dance moves, it is no surprise that Ngabo Médard Jobert, or as he is widely known by his stage name, Meddy, would bring this contagious tune at the time of the year. Building on the success of his last banger, “Slowly”, which was released few months ago to critical acclaim and massive airplay, the uber-talented young artiste adds to his already teeming list of countless smashing hits such as “Nasara”, “Ntawamusimbura”, “Ese Urambona”, and “Akaramata”. And to complete the masterpiece, he employs the genius of multiple award-winning winning RnB singer, The Ben. And The Ben, whose real name is Mugisha Benjamin didn’t let him down as he brought to bear the same magic we experienced on “No You No Life”, “Thank You” on which he featured heavyweight Tom Close, “Roho Yanjye” and his collaborative work with Diplomat on “Karibu Sana“. While Meddy is well known best known for releasing dope videos, he is yet to release one for “Lose Control”, which could only mean he is cooking something super dope. In the meantime, enjoy this scorcher. Simply stream, download and share your thought with us below.